The Colne Valley is located on the south eastern corner of Bucks. The Colne flows through Hertfordshire before forming the boundary between Buckinghamshire and London and into Surrey. 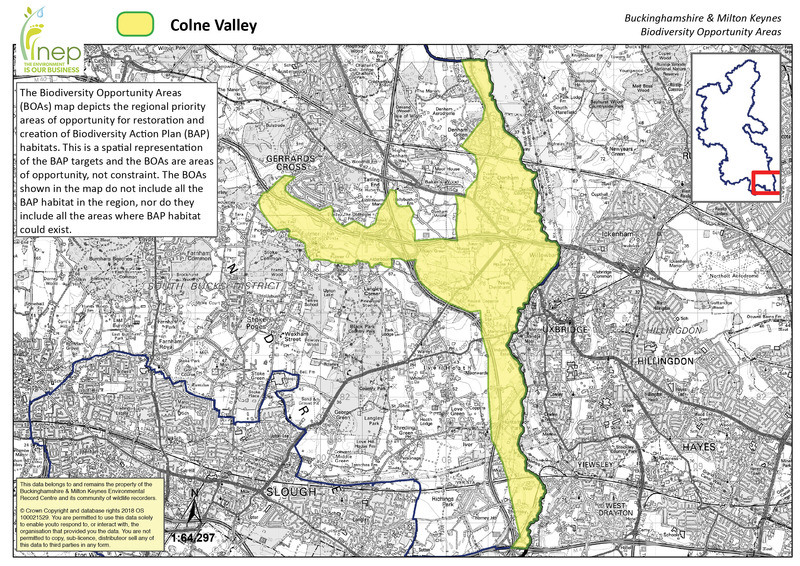 The Colne Valley BOA is contiguous with the Colne Valley Key Biodiversity Area in Hertfordshire and there are SSSIs close to the borders in Hillingdon and Surrey. It is also connected to the South Bucks Heaths & Parklands and Central Chilterns Chalk Streams BOAs. Landscape Types: Mostly wetland and agricultural, with woodlands limited to watercourses. The areas around Denham Green and Rush Green are wooded agricultural. Geology: Mostly mudstone with chalk in the Misbourne Valley and around Denham overlain with sands, silt and gravels. Topography: A shallow flat bottomed valley. 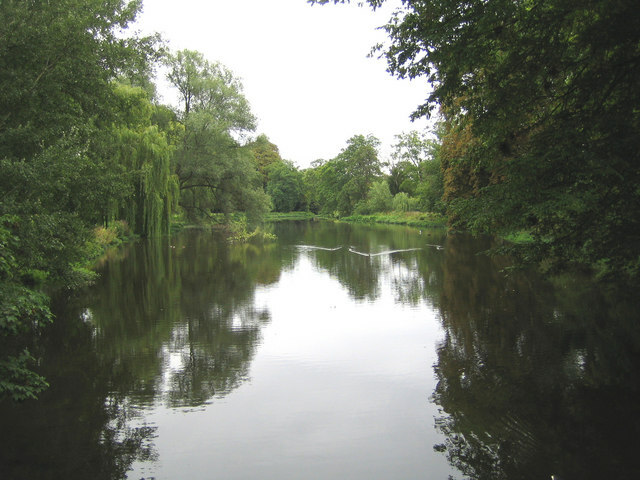 Rivers and Streams – The River Colne provides a valuable route for species movement between the Thames and Hertfordshire. Lakes – There is one eutrophic standing water SSSI in Bucks – the Mid Colne Valley SSSI reservoirs. There are also open water SSSIs close to the border with Bucks in the Herts and Surrey sections of the Colne Valley. Reedbed – There are reedbeds in the Mid Colne Valley SSSI. Woodland – There are wet woodlands at Old Rectory Meadows and Denham Marsh Wood SSSIs (the latter is in Hillingdon) and small areas of wet woodland fringing the rivers and streams. There are also BAP woodlands at Meadows & Oldhouse Wood SSSI and in 2 LWSs. Lowland Meadows / Purple Moor Grass and Rush Pastures – There are areas of these habitats in Old Rectory Meadows and Kingcup Meadows & Oldhouse Wood SSSI. Parkland- There is an area of Parkland around Long Coppice Farm at Dromenagh. Park Hedgerows – The lower Misbourne Valley, the Fulmer area and the area between Denham and Iver all contain concentrations of pre-18th century enclosures which may contain species rich hedgerows. Archeology: Denham Place is a registered park and garden. There is a Scheduled Ancient Monument (SAM) at Savay Farm, Denham.